Knock Out the Lockout at LIU Brooklyn! 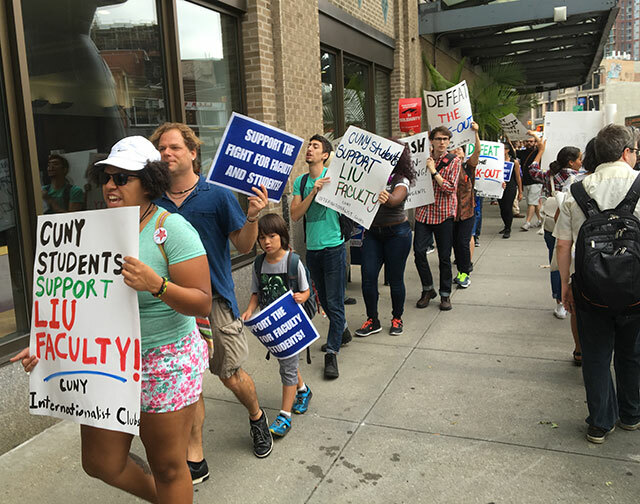 The administration of Long Island University kicked off the new school year by locking out the entire faculty at its downtown Brooklyn campus. 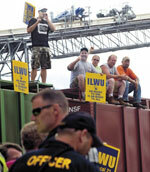 It was the first time ever in the United States that the bosses of higher education have resorted a lockout. This is not just a negotiating tactic. By systematically preparing for this step over a period of months, including demanding what amounts to a pay cut of 25% or more for adjunct faculty, declaring a lockout even before the union voted on the take-back contract, cutting off health care and hiring over 140 “replacement workers” – i.e., scabs – the LIU administration is making it clear that they are out to destroy the faculty union.